It’s time! 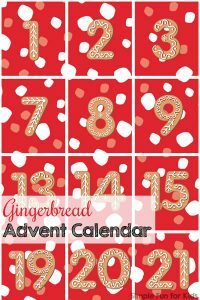 I’m so excited to finally get started on our Christmas countdown! 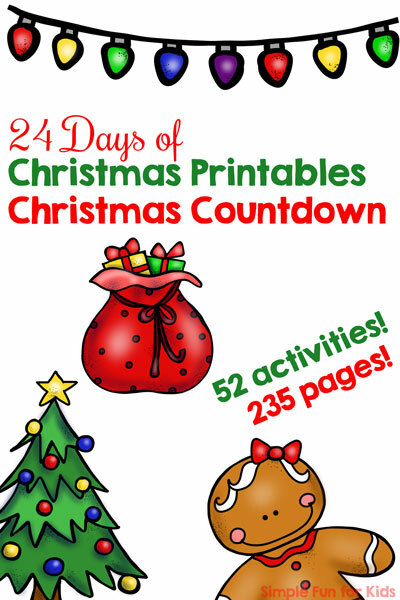 24 days of Christmas printables are waiting for you – and this is Day 1. 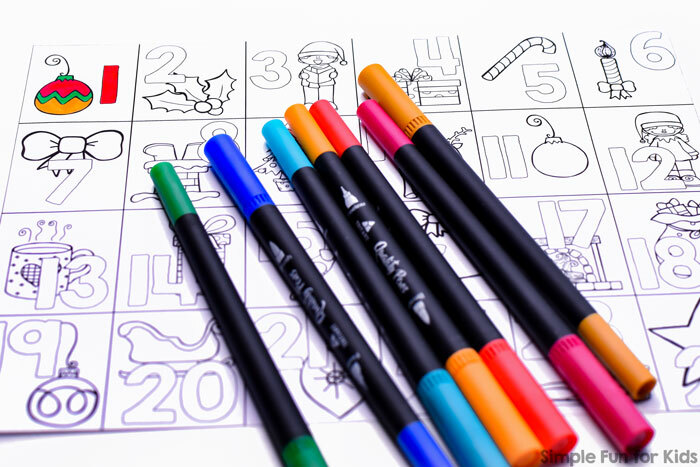 Today, I have an Advent Calendar Coloring Page for you! Colored markers, colored pencils, or crayons. What’s in the pdf file? 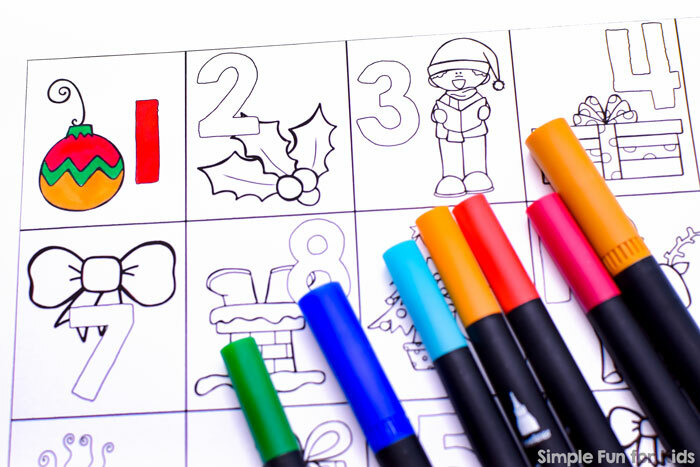 This is a one-page advent calendar you can color in. Just print and start using it right away. 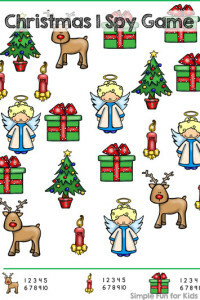 Color one square a day until Christmas or color them all today and hang the calendar on the wall! If you want, you can use a sticker to mark the current day. Or use a sticker a day to mark the days that have already gone by. 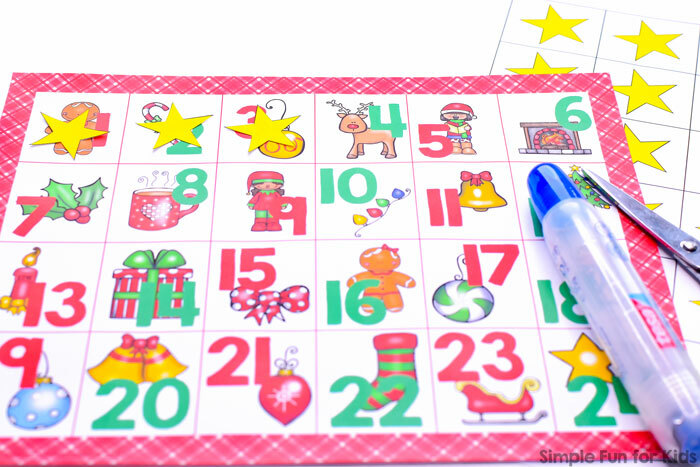 The full 24 Days of Christmas Printables Christmas Countdown also includes a version of the advent calendar in color and a sheet of yellow stars you can cut and paste. In addition, there’s a bonus “G is for Gift” dot marker page in the paid file. 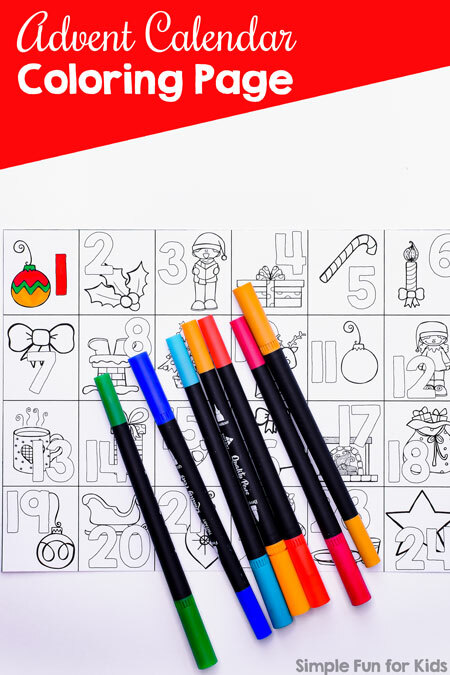 Download your free advent calendar coloring page! 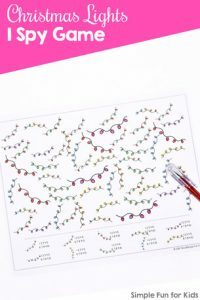 Or click here to see this page on my membership site, become a VIP member today, and download your printables with one click! Want more? 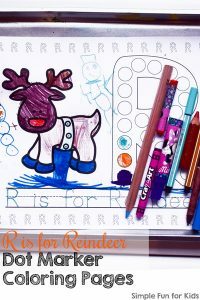 I’ve picked out a few more no prep Christmas printables for you!